An amasing trout fishing tour had passed at the middle of October on Koksu river. There was a nice autumn weather. 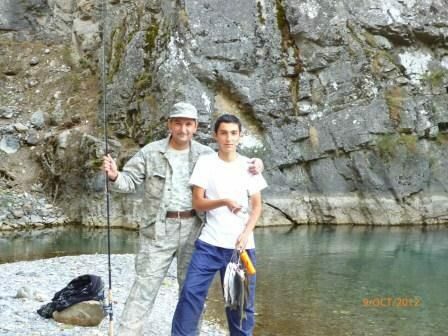 The anglers enjoyed by catching of small and medium size rainbow trout. The most likeable bait for the trout were gold coloured spinners from 5 to 11 grams. Special thanks to the cook for the tasteful dinner!